Whether it is a new development or the evolution of an existing solution—with Schreiner MediPharm you can rely on a partner who translates your specific requirements into innovative products—at the highest level of quality. 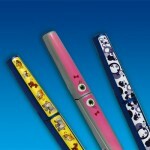 The multi-functional design of our solutions offers you flexible combination options. Expert advice around the world. 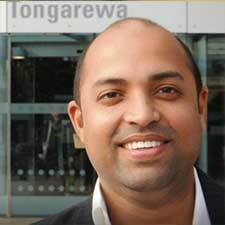 International corporations need international partners. 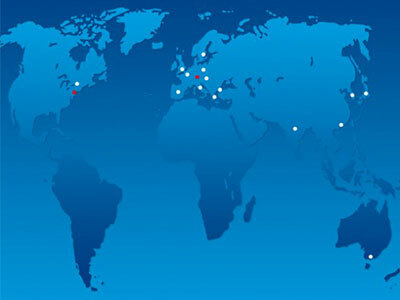 That is why we are represented in over 20 countries with our worldwide network of specialists. 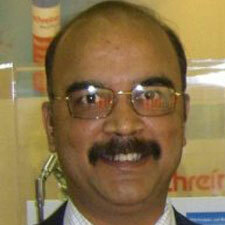 Drawing on decades of experience, we possess a wealth of know-how in the pharmaceutical and medical industries. This expertise benefits our customers not only in the form of innovative products, but also through sound, personal consultation provided before, during and after product launch—irrespective of the regional markets in which our customers operate. 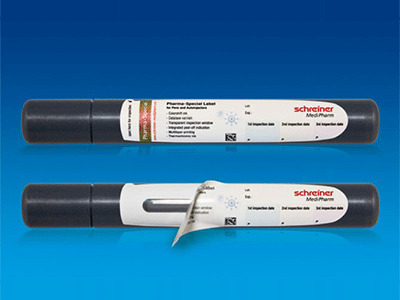 Schreiner MediPharm has developed Needle-Trap as a cost-effective alternative for pre-filled syringes, which helps protect healthcare professionals from needle stick injuries. It combines the requisite safety in field use with major benefits in terms of economy, flexibility and process reliability for the pharmaceutical manufacturer. “Schreiner Group” is the umbrella brand for business units delivering a portfolio of products and services focused on specific markets and customer requirements. As a result of our specialization, all of the Group’s business units are exceptionally capable in their particular fields while benefiting from an array of synergies under the umbrella of Schreiner Group, the use of specialized know-how, for example. 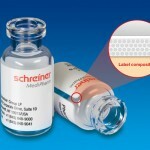 Schreiner Medipharm is the part of Schreiner Group and we are one of the leaders in the development and manufacture of innovative specialty labels with value-added benefits whose solutions have been setting standards in many areas. Our high level of problem-solving expertise and our special know-how have made Schreiner MediPharm a development partner who is valued around the world by leading corporations in the pharmaceutical industry. 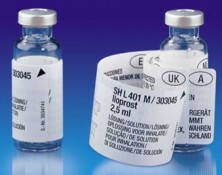 As a capable development partner and reliable quality supplier, we convince our worldwide customers by delivering intelligent solutions which optimize processes and enhance patient safety Our customized solutions make pharmaceuticals easier and safer to use, reduce process costs, and offer a wide range of value-added benefits. In addition, our self-adhesive specialty solutions and functional elements facilitate handling of medical equipment and consumables. 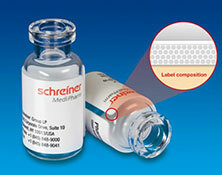 In addition to its proven location at Oberschleissheim near Munich (Germany), Schreiner MediPharm now also owns and operates a production site in the United States. Since 2008, the plant in Blauvelt, New York, has been manufacturing quality products for the North American pharmaceutical market. 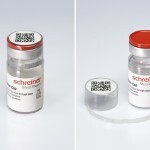 Whether it is a new development or the evolution of an existing solution—with Schreiner MediPharm you can rely on a partner who translates your specific requirements into innovative products—at the highest level of quality. The multi-functional design of our solutions offers you flexible combination options. Why not see for yourself how extensive our product range is? Selected items are presented on the following pages, and we’ll be pleased to show you our complete portfolio in a personal meeting. 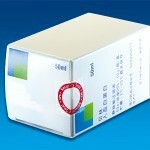 India’s pharmaceutical industry is growing globally and need high quality packaging support too. 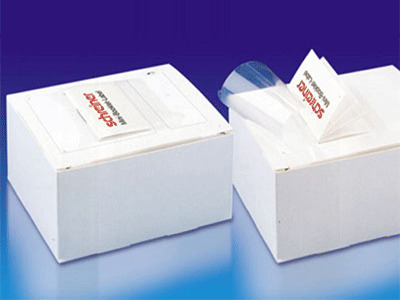 Packaging Connections helps pharmaceutical packaging companies to do business in India using our vast one to one direct packaging network. 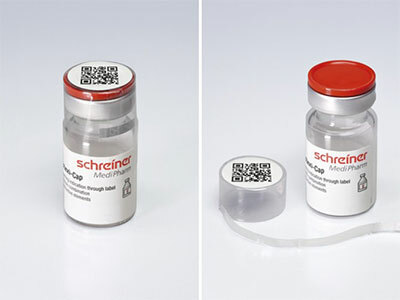 Since Schreiner Medipharm is manufacturer of innovative specialty labels with value-added benefits for the medical and pharma industries, we are able to fill the gap between locally available materials, adding value to the business. So we support their activities in India locally. 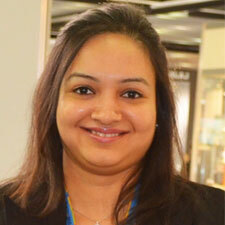 We are Schreiner’s Indian partners to establish their business in India. 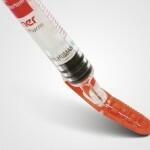 We have proven studies at Schreiner products and capabilities. We also listen to customers in India and then offer the right products from Schreiner or see which new products can be developed. Once the selection of the packaging materials is made, we coordinate the trials as well as offer the technical services locally. As India is exporting globally, we also support the companies to get the necessary documentation for the regulated markets like US, Europe etc. 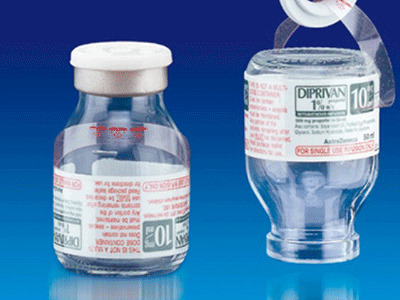 We help Indian pharmaceutical companies to make the right packaging selection from Schreiner and in case, its not available then we also look at the possibility of developing the new products. 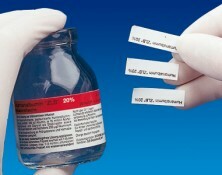 Pharma-Tac: The quick way to hang a bottle. 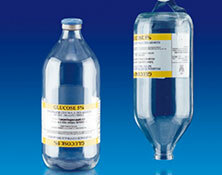 Infusion bottles must be hung upside down from a stand. This requires a suitable hanging device. The application of conventional hangers often costs valuable time which is usually lacking in emergency situations. Additional costs are incurrent for purchasing and regularly disinfecting these hangers. 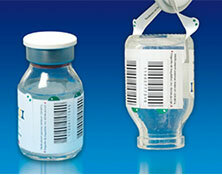 Pharma-Tac are specialty labels with integrated hangers, which allow faster and safer hanging of infusion bottles. 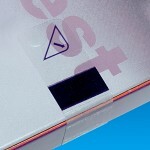 The tear-resistant hanger is an integral part of the label. Easy handling and lower costs. 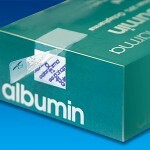 When administering drugs to patients, definitive labeling of the product and comprehensive documentation are essential. Hand-written entries in patients’ medical records often make it difficult to read critical information such as drug names, batch numbers and expiration dates. 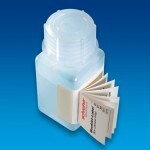 In addition, essential information may be lost when refilling the product from its original into another container. Pharma-Comb are specialty labels containing one or several documentation segments printed with essential data. 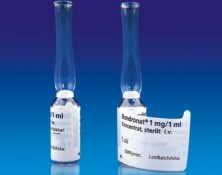 Marking and documentation when administering drugs become easier and safer. 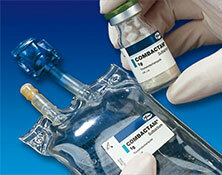 Legal requirements have resulted in a whole host of essential information to be provided for pharmaceutical products. In many cases, such data must be available in several languages. In addition, clinical trials, which are typically conducted on an international scale, require extensive descriptions in the respective national languages. 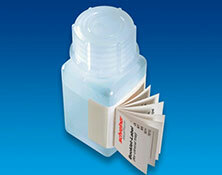 Pharma-Multi-Inform are specialty labels with an enlarged area for text. Due to their multi-page design, all the required information is made available in a different language on each page. 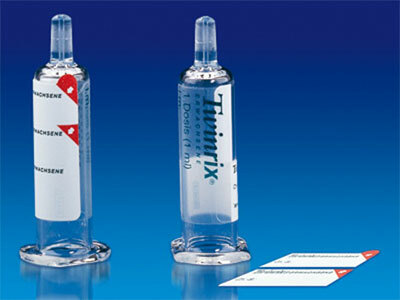 Cost savings through process simplification as well as higher flexibility and efficiency of pharmaceutical product usage. Instead of numerous label versions in different languages only one multi-lingual version is required. 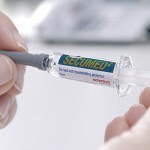 Pharma-Security: How to recognize an authentic product. According to estimates 7% of all pharmaceuticals sold around the world are fakes. 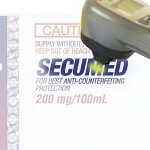 Therefore, effective protection from counterfeiting, re-importation, and tampering is required. 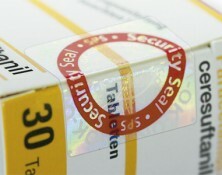 Opt for anti-counterfeiting and anti-tampering protection that is perfectly adapted to your specific requirements and can be easily integrated into your production processes. 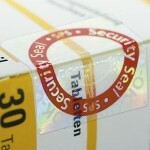 Valuable synergies result from our collaboration with Schreiner ProSecure, the product and brand protection specialist. 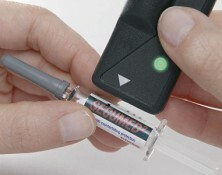 Inattentiveness or hectic situations in day-to-day medical practice can lead to needlestick injuries after administering injections. 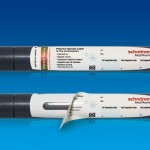 To prevent this risk, needle protection systems are now increasingly being used. 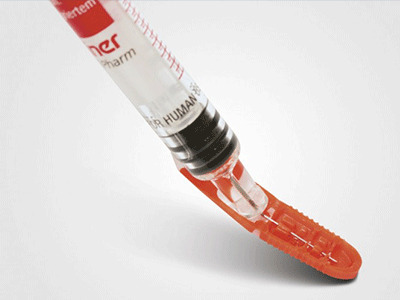 Schreiner MediPharm has developed Needle-Trap as a cost-effective alternative for pre-filled syringes, which helps protect healthcare professionals from needlestick injuries. It combines the requisite safety in field use with major benefits in terms of economy, flexibility and process reliability for the pharmaceutical manufacturer. No matter how extensive our product portfolio may be—new requirements consistently emerge for which highly specialized solutions must be found. As a development partner, we create innovative and individual product solutions for our customers.